The FHA 203k renovation loan program provides funds for both the purchase and renovation of a home packaged into one mortgage loan. Once the purchase of the home is closed, renovation funds are held in escrow to pay for pre-determined renovation work done by approved renovation contractors. This type of loan combines the purchase of a property with construction funding in a single loan for smaller rehab projects, and in a two closing process for more expansive work. The lender will typically use a list of repairs and subcontractors to determine a ‘final’ value for the property, and schedule loan amount based on a review of the total acquisition costs (purchase + construction) and projected appraisal value. As the old saying goes, cash is king. Cash is, perhaps, still the best ways to get into real estate investing. A commercial mortgage loan is secured by a lien on commercial, rather than residential, property. Commercial real estate (CRE) refers to any income-producing real estate that is used solely for business purposes, such as retail centers, office complexes, hotels and apartments (5 or more units). Typically, an investor (often a business entity) purchases commercial property, leases out space, and collects rent from the businesses that operate within the property. Financing, including the acquisition, development and construction of these properties, is typically accomplished through commercial real estate loans. Commercial real estate loans are typically made to business entities formed for the specific purpose of owning commercial real estate. Entity types include corporations, developers, partnerships, funds, trusts, and Real Estate Investment Trusts, or REITs. A construction loan is a specific type of loan, designed for construction and containing features such as interest reserves, where repayment ability may be based on something that can only occur when the project is built. Thus, the defining features of these loans are special monitoring and above normal loan guidelines to ensure that the project is completed. In the case of an investor building rental property, a special appraisal would be ordered which would attempt to predict what the rents will be and whether they will be enough to pay back the loan, plus all expenses and still give the renter a certain minimum amount of income. No matter how valuable the building might be once completed, almost no lender will extend a loan for more than what the owner can afford. because even though they will not have to make any payments during construction they would have to make monthly payments once completed and there can be no assurance that the owner would pay down the loan enough to make the monthly payments affordable once the project is completed. A hard money loan is a specific type of asset-based loan financing through which a borrower receives funds secured by real property. Hard money loans are typically issued by private investors or companies. Interest rates are typically higher than conventional commercial or residential property loans because of the higher risk and shorter duration of the loan. Because of the higher interest rates or other restrictive terms, hard money loans are usually utilized in situations where funding cannot be achieved through conventional means. A home equity line of credit is a loan in which the lender agrees to lend a maximum amount within an agreed period where the collateral is the borrower’s equity in a residential property (akin to a second mortgage). The payments on these types of loans are usually interest only payments, based on the outstanding balance drawn from the loan. They are typically scheduled for a short term balloon, meaning the entire principal balance is due at the end of 5-7 years of interest only payments. This balloon can pose some risk to the homeowner. If the homeowner has not paid down the principal balance, and if the loan is not renewed by the lender at the 5-7 year mark, the entire balance is due at one time. A real estate investment club (which need to be distinguished from a formally established “real estate investment trust,” is a group of less than 100 individuals who meet for the purpose of pooling money and investing. Members typically meet on a periodic basis to make investment decisions as a group through a voting process and recording of minutes or gather information and perform investment transactions outside the group. The upper limit for an investment club is 25M on the sum of funds invested as individuals or as a group. There is no lower limit. Partnerships can enable investors to “pool” expertise as well as money. An example of a partnership would be a person with cash teaming up with a general contractor to buy, fix and flip houses. 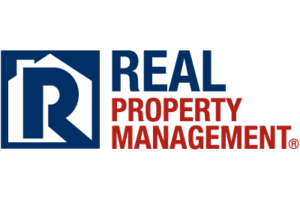 Another might be a property manager (or would be landlord) teaming up with a contractor to buy and hold rental property. Partnerships can be designed to proportionally share the returns and dividends from the investment based upon the perceived value the partners bring to the table. Of course, partnerships can also be formed to pool resources and buy real estate to flip or hold—acting more like an investment club. Residential home mortgages are the conventional residential mortgages that we all think about when buying a home. Mortgages of this type can be used to buy one to four unit rental properties as well. As with a typical owner-occupied home loan, the standard qualifications of the borrower include debt to income ratio, credit score, loan to value and experience as an investor/landlord. Though the term of the loan could be as long as 30 years, 15 is more likely. Interest rates may also be higher and a larger down payment may be required for non-owner occupied residential loans. Fixed rate, fully amortizing loans are typically offered on a timeline of 15-30 years. Compared to primary residence mortgages, investment property interest rates will typically be higher, and larger down payment standards must be met. Cashing Out – One way to use your 401K is to cash it out and use the funds to buy real estate. Investors should use caution when considering this approach as taxes and penalties for early withdraws will likely apply. You might be able to avoid penalties if you use the funds to buy your first home. You could then later use the home for a rental income property. However, you’d still have to pay the income taxes on the original withdraw. Borrowing – You could take a loan out on your 401K, but not every plan allows for loans and some limit the number of times you can borrow and/or the total amount that can be borrowed. Five years is the typical loan repayment period so the investment must be able to fund the repayment in full by the end of the term. Interest rates apply but are usually considered inconsequential since the interest income goes back into your 401K. In some cases, a 401K loan can be used to provide the down payment funds for a transaction involving a mortgage. You could roll part of or your entire 401K into a Roth IRA for investment purposes using a self-directed IRA. Or, if you already have a Roth IRA, you can use those funds for a self-directed IRA investment. Money earned with funds from a self-directed IRA may not be taken out and must be reinvested in the IRA. A third-party administrator must be used to execute the transactions. While this approach doesn’t earn you extra dollars in current income it is a great way to build a large retirement account. 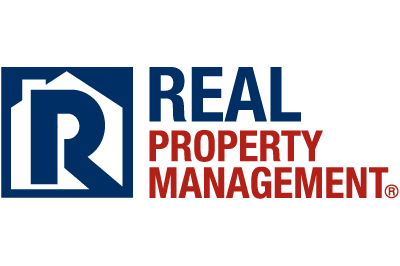 Look for a third-party administrator that is experienced in real estate investment. It’s also possible that you could use another person’s IRA funds. If you have decent credit, a financial institution may be willing to provide you with a line of credit to be used for whatever purpose you have in mind. Since the loan is typically unsecured, interest rates may be higher. However, repayment terms may allow for interest only payments. The amount you can borrow will be determined by your credit worthiness. While not a recommended approach, a cash advance on a credit card can be used to invest in real estate, and credit cards can be used to finance rehab materials and work performed by contractors. The downside to credit cards is the high interest rate and the repayment formula used by the credit card provider. Essentially, the credit card company never wants you to pay off the card—they want you to pay the minimum amount for as long as possible. If you make the minimum payment, your investment will cost considerably more in the form of interest. Land contracts can be used to buy and sell investment property. A land contract is an agreement between a buyer and a seller in which the buyer makes installment payments. Unlike a typical mortgage, the seller (owner) of the property holds title to the property until payment is made in full. Most land contracts require a down payment, have a higher interest rate than conventional financing and often have a balloon payment. Recent Federal regulations set the parameters for many of these terms. Land contracts can be used to buy property to rent or to flip. No loan is involved in the purchase of the property. One of the downsides to land contracts is—if the seller does not own the property free and clear—the potential for the seller to be foreclosed upon. If the seller is foreclosed upon, the buyer has no recourse. Another popular method to secure interest in a property with little cash down is a lease with an option to buy. The lease and the amount of the option payment are all negotiable. An investor negotiates the best lease and lowest option possible with the lessor. The investor could also obtain the right to sublease the property with an option to buy to a third party. Some sellers are willing to act as “the bank” by selling their real estate to an investor using a note and holding a mortgage on the property. The investor buyer pays the seller as they would a bank in a conventional mortgage loan. Some new Federal regulations may apply to terms, conditions and the eligibility of the buyer. As with a land contract, if the seller does not own the property free and clear, they could be selling the property in violation of a “due on sale clause” or they could be foreclosed upon if they miss a payment—leaving the seller/investor holding an empty bag. A reverse mortgage is a type of loan available to homeowners, 62 years or older, that allows them to convert part of the equity in their home into cash. The cash could be used to buy investment property. Reverse mortgages are typically used by the elderly to “smooth out their income.” The fees involved with a reverse mortgage can be sizeable. Typically, if the homeowner moves out of the residence, the reverse mortgage must be paid in full within 12 months.